I have always had an issue with the idea of Purgatory. For me, growing up an evangelical charismatic Christian, the idea of Purgatory – some way stop between earth and Heaven – seemed outright blasphemous. I couldn’t find it in the Bible – to be honest, in the Protestant or Catholic versions, it just didn’t make any sense. I argued with religious education officials as my family became Roman Catholic, and I argued with my wife. I scoffed at the idea. My good ol’ boy, evangelical, charismatic roots would not budge. Even with my own personal assertion I was more “Catholic” then not, I could not, would not wrap my head around Purgatory. Then came the death of Jack Chick. Chick, notorious for his evangelical tracts, full of anti-Catholic propaganda, among other things. I grew up with these tracts – in fact, I probably read everyone available during the late 1980’s when I was a young boy. I don’t remember them very well – they were entertaining (obviously), and I’m quite sure some scared the hell out of me – much like Pat Robertson did on the 700 Club around the time I was five years old or so. I remember hearing, at a young age, that Catholics were evil. Ironically, my parents and the church they went to – my dad being an associate pastor there at the time, began to move towards the Sacramental nature of worship more and more. Communion and liturgy joined speaking in tongues and raising of hands. John Michael Talbot became a staple in church and in our cars driving down the road, and ideas of incense and robes became more acceptable over time. Eventually my father would be ordained a priest in the Charismatic Episcopal Church – not Anglican by association, but Anglican in liturgical tradition, and myself and my brothers found ourselves being educated at home using the Seton Home Study program – a traditional, pre-Vatican II accredited program. I found myself then, twenty years ago, being drawn to Catholicism – even though I had dreams of being a priest and married – following in my father’s footsteps, but Catholicism still drew me. I ended up just being a sinner myself, going band forth, but ultimately my wife and I made the decision to become Roman Catholic. To get back on topic – I’ve always had an issue with the idea of Purgatory. I have always seen it as demeaning to Christ – who allowed Himself to be humiliated, beaten and crucified for my sins (yours too… oh, and Mr. Chick’s as well). We believers go through life sinning, yes, but we should also be confessing those sins – as Catholic’s we have the Sacrament of Confession. Protestants have their own ways as well – doesn’t matter, part of being a believer in Christ is confessing – our beliefs, our faith and our sins, and then receiving God’s Grace and forgiveness. I’m not here to argue the finer points – both my Catholic and Protestant friends can do that on their own time. What I am saying is, I simply could not believe that God the Father would allow us to suffer after everything that the Son of God went through for our sins. Granted, we suffer on earth, but that is because of original sin. We get baptized and that stain is washed away, yet the earth itself has not been reborn, so we remain in this world, but not of it. Though we are clean, we are still human, but thankfully washed in the Blood of Christ. I had a hard time believing that my father, who died in 2014 after suffering from a debilitating stroke seven years before that, would have to spend more time suffering to atone for his life – which by the standards of most people, was actually a pretty good life, full of blessing others, faith, love, charity and good works. Then came the death of Jack Chick. Jack Chick claimed to be a believer in Christ. He encouraged people to repent – mainly though tracts that spoke of the evils of this world and well as those in it. This included free-masons, Catholics, and others. He often depicted all of these things a demons and great temptations. Going as far as labeling things the Antichrist, etc. For all of his faith and love for God, the man was full of hate. I am not God, so I take people at face value as much as I can. I believe that he believed – in other words, I believe he had faith in God, His Son and the Holy Spirit. Though he had faith, I believe he was corrupted – as we all were and are, and that corruption had taken root and was allowed to grow. I can say this about a lot of people, both dead and still alive. An example would be the one who led to me to Christ at the young age of five years old or so from a television screen. These men and women, as well us who put ourselves above them, all have a corruption. Thankfully, we also have Baptism – and so, more than likely, did they. The problem is that we still live in a corrupted world, and that corruption in turn affects us. It’s like a disease, starting small at first, but if allowed to continue to grow, can totally consume us. We still have faith, we still believe in Christ, we still love God – but depending on the level of corruption from the world we live in we let in, the more or less blind we become to the truth. Jack Chick was blind to the truth, nothing more, nothing less. This does not excuse the lies and slander he wrote and published. However, it does not give us the privilege to gloat and judge in his death. He was man, a believer and sinner, just like us all. Now, Purgatory. I still don’t totally understand my thoughts in regards to the possibility of a place between Heaven and Earth, but I can understand the notion for a place that we are brought to after we die for God to fully reveal his truth, love, mercy, grace and FORGIVENESS to us. Whether we are Catholic, Orthodox, Anglican, Protestant (non-liturgical), we all have or notions/rituals towards confessing of sins and God’s absolution of those sins. We all believe that God has wiped the slate clean in His mind, however, we are still corrupted by how the world views sin. The fact that we actual have to deal with right and wrong, good and evil. As a lot of people do, part of me fears death. Not because existence ends, but because I know who I am. I know the things I have done, said, thought, etc. h/ave I confessed, you betcha. Do I believe god has forgiven me, absolutely. Am I totally free from sin?!?! Hmm… in reality, yes, but in my mind, I am still haunted, sort of like those Jack Chick tracts. I still have the random thought. My beautiful wife insists on reminding me of something. My children tell me what I forgot to do with them. I see a memory on Facebook that I would rather not be a memory, or be on Facebook. God has forgotten, but I have not, and neither has the world. Newsflash – the world never forgets, and unless you get amnesia, nor will you, or your friends, your spouse, your kids, your parents, your neighbors, etc. Everyone has always told me that Purgatory is simply a place for cleansing. I like to think of it as the shower taken before entering the Throne Room. Wait… I said it, I like to think of it. I still don’t 100% agree with everything that everyone likes to tell me about it, however, it is beginning to make sense. God sees us as clean, but every time we look at ourselves, all we see is dirt. We go to confession, or we pray to God and confess our sins – we hear the words or remember the Scripture – but still, as we look in the mirror, all we can see is the dirt. Likewise, when we look at other people, often times all we see is dirt, and unfortunately, we like to show other people the dirt that they don’t see that we do, and vice versa. I don’t know about you, but before I take my place as part of the Bridegroom of Christ in His throne room, I’d like to see myself how God sees me, clean, washed in His Blood, made white then snow. In this, I can see the purpose of Purgatory. It is not a punishment, I don’t even believe it is painful. I believe that it can be, up to that point in our existence, the most glorious and liberating thing we can experience. It is my prayer that Mr. Chick, as well as many others, experience a well needed shower before the reach their final destination. I also hope they leave some hot water for me. Final thought: We are all in need of forgiveness and cleansing – We receive God’s forgiveness through confessing our sins. We also need to seek forgiveness from others, as well as our self. There are countless people who believe in Christ who die in a state where they did not have a chance to confess their sins, or who had self doubt in relation to those sins. Baptism is the ultimate shower we receive, washing away the “old man” and making us into a new creation in Christ. Nothing can replace the new birth we receive upon having this sacrament. However, even after we get cleaned from a life of dirtiness, we are bound to get a little dirt here and there, from time to time, and it is quite possible that we don’t get a chance to take that final shower before we go to meet our collective Bridegroom who is Christ Jesus. Personally, I like to see Purgatory as that final shower before our wedding feast. 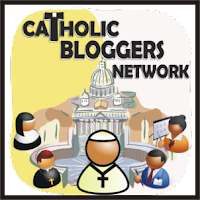 Changing of the Guard – Becoming Catholic. in my archives of photos, taken nearly two years ago when Karl was 5 days old. I love comparison pictures. I also love seeing my hubby interact with the little ones, especially in the more active ways. It’s also such a reminder to see how they grow. And how they won’t be little for ever. And how there won’t be sleepless nights forever. I just thought it was sweet. 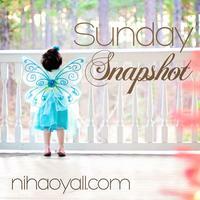 Linking up with Simple Things Sunday. Things have been on a bit of a roller coaster over here for the last few months to say the very least (if you’re interested, you can read all the drama here, here and here, if you haven’t before or are new reading here). But…. I truly believe that we are getting back on the right track. One of the hardest things for me is time. Namely “how long” things take to change. I have a very impatient personality, once things are going to happen, I see no reason to delay them. But that’s not how the world works, at least not always. And lifestyle changes take lots of time. And dedication. And sometimes frustrations and disappointments. I have been learning very, very slowly what it means to “be there” for my husband in all things. However, some things make waiting for the changes to happen (or finish happening) a little easier to deal with. Ir maybe I should say, a little piece of my impatience breaks off and I’m less impatient. Last night Karl decided he wasn’t going to go to sleep (again), so he was up while we were watching the Game. At one point Jared got on the floor with him and started rolling around and goofing off on the floor. This is one of the things that I LOVE about Jared, that he’ll get down on the floor and play with them. Since he’s been back home, he’s done it way more often than before. But on top of that I’ve noticed the kids, especially the boys have become more close with him. They want to do more things with him, they allow him to help with more things (jackets, coats, baths, etc…). It’s been a joy to watch them bond. And my prayer is that that bonding continues as strong as it has even in the last few weeks.